Probably, the most horror procedure by making business are accounting and bookkeeping. It never seems to be fun part of action, but very necessary (sorry, I have no idea to offend bookkeepers or accountants). On the other side, it requires a lot time to expend for keep going with it. The good news is, this case has been well resolved. FreeAgent Central team has developed an incredibly simple software to keep managing an accounting process for freelancers and small businesses. They had broken through the jumble of horror by the best and offer a great online application to administrate books and invoicing. FreeAgent online application includes invoicing, banking, expenses calculation and more opportunities by the easiest way to manage it all. There is no involved unnecessary bells and whistles. You can try software during 30 day period for free to get a picture about it without any liability for you. Just sign up an account, and you get full options and unlimited users access. FreeAgent gives you an opportunity to see clear picture about your business finances. It enables to get real time overview without depending on your location. Banking module. Give a clear picture of money in and outof your business. They tell: “over 90 % customers would recommend FreeAgent to a friend.” This is a brave promise, they must be really good. FreeAgent has remarkable customer support over Get Satisfaction service. As well helpful knowledge base to drive you through a full process. Check out what people are saying. FreeAgent has a simple pricing scheme and 30 day free trial with full functionality. 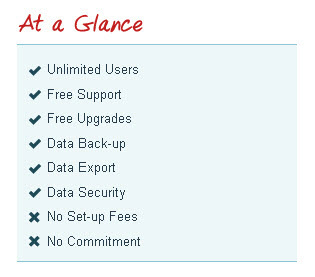 No contract, pay-as-you-go subscription includes all features, upgrades and support. There are different account types for UK-based businesses and business is based outside the UK. You have trouble with accounts? No more, if you transform FreeAgent to your business. It gives you greater clarity and reduces the stress. It`s not a problem anymore to keep going your accounting. These are confirmed reasons to join with online accounting software FreeAgent.